Is the 2018 Ford Edge a good car? If you're buying a new car, a compact SUV, a midsize SUV, a pickup truck or anything other type of vehicle these days you're pretty much spoilt for choice, and it's probably not unfair to say you'll have to go some way to find a bad one. If you want to know if the Ford Edge is a good car because that's the model that's caught your eye, the simple answer is probably a resounding yes. But to find out just how good a vehicle the 2018 Ford Edge is, then read on. It's not a particularly scientific measure, but the fact the 2018 Ford Edge is the latest US-derived model from the Blue Oval to be offered for sale officially through Ford main dealers in territories outside North America is significant. Designing and building a vehicle that appeals to a wide enough spectrum of potential buyers to make it successful in one market is challenging enough as it is. But for one to be a hit with buyers in an almost identical form in other markets around the world at the same time really does say a lot about the quality and appeal of a vehicle. That's what happened recently with the Ford Edge, which has now joined the legendary Mustang in now becoming a truly global model for Ford. 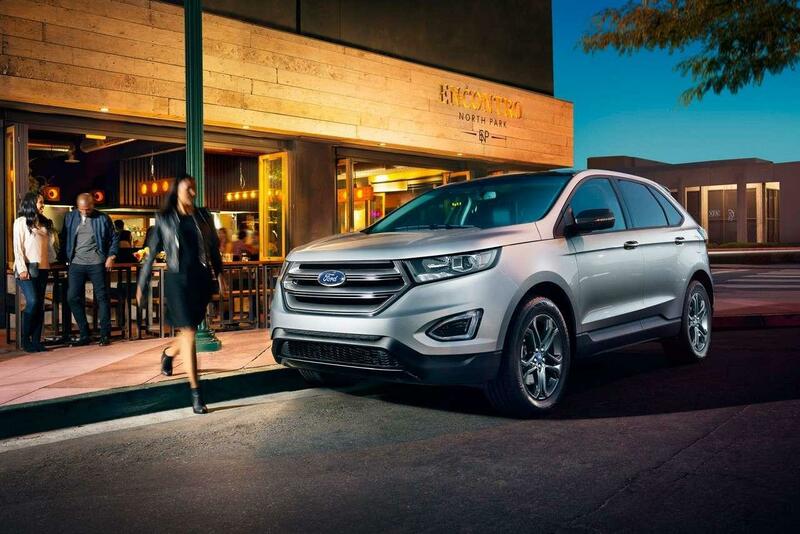 The first thing that makes the Ford Edge such a success has to be the fact it's the right vehicle at the right time, and it concentrates on what it is without trying to be something it isn’t. The Edge is a midsize crossover SUV, and as you’re probably aware SUVs are the dominant force in auto markets the world over right now. But while some of its midsize rivals try to squeeze a third-row seat into these comparatively compact proportions, Ford has decided to stick with two rows and therefore five seats in this one. This means there's plenty of stretch-out room for occupants in the front and the back, but there's also a decent amount of cargo space to take advantage of too. Another ace up the sleeve of the Edge is the wide variety of prices and ways it can be configured, which can make it a competent family hauler for the budget-conscious to a sporty performance SUV, and pretty much anything in between. Ford doesn’t go overboard with the amount of trim levels for the Edge crossover, but it did get it just about right with four. The entry model is the SE, and from there the range goes to the SEL, Titanium and finally the top of the range Edge Sport. All models get a six-speed automatic transmission, front wheel drive is standard with all but the Edge Sport, but that model's standard all-wheel drive is an option for the other three trims. The standard engine for all but the top trim is the excellent 2.0-liter EcoBoost four-cylinder, but it can be upgraded to a 3.5-liter V-6 in the SEL and Titanium trims. The trump card though is the 2.7-liter EcoBoost twin-turbo under the hood of the Edge Sport, which puts a fabulously entertaining and capable 315 horsepower and 350 lb.-ft. of torque at your disposal. To discover more about the 2018 Ford Edge and to arrange to try one out for yourself to find out why it's so good, don't hesitate to get in touch with us here at Ford of Upland.